When you think of the oldest, most respected British makers of loudspeakers -- KEF, for example -- you don’t necessarily think of subwoofers. In fact, when you think about loudspeaker manufacturers in general, you often don’t think much about their subs, which they seem obligated to offer when they design a home-theater speaker system. 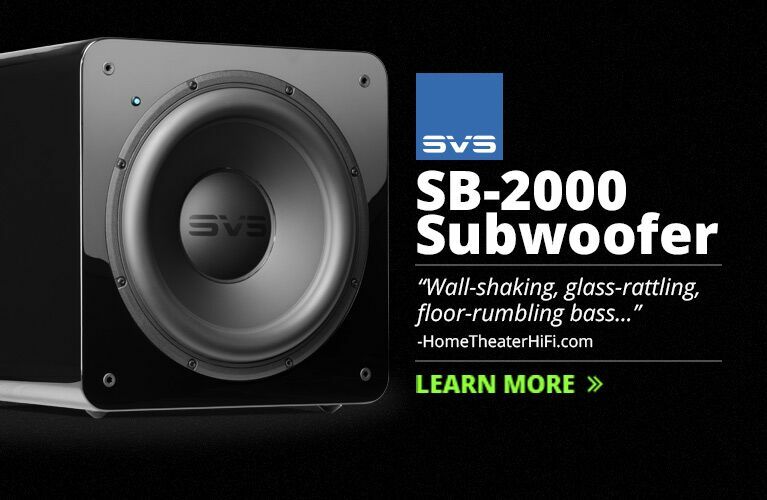 Instead of buying a subwoofer from the same company that made their speakers, most audio and video enthusiasts turn to the manufacturers that specialize in subwoofers: Hsu Research, JL Audio, REL, SVS, and Velodyne. There are some exceptions -- Paradigm produces some truly stellar subs -- but by and large, subwoofers sometimes seem like afterthoughts in the product lines of many speaker manufacturers. A few years ago, when KEF introduced their R-series speakers, they earned plenty of praise, including a glowing review of the R500 by our own Doug Schneider; Hans Wetzel and I both bought pairs of the larger R900s to use as our reference speakers. However, much less, if any, attention was paid to the subwoofer KEF had designed for the R line: the R400b ($1699.99 USD). When Jeff Fritz, the SoundStage! Network’s Editor-in-Chief, recently asked if I would be interested in reviewing the R400b, I was surprised that it had never occurred to me, considering how much I admire the R series -- I’m still very happy using the R900s as my references, along with the R600c center-channel speaker. So I agreed. I was curious to hear how the R400b would perform in my mostly KEF R system. 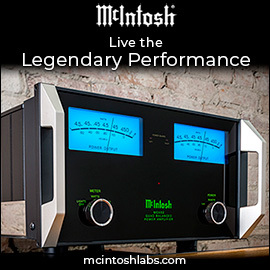 The R400b’s claimed frequency response is 26-140Hz, -6dB, and its maximum output is 111dB. Each driver is powered by its own 250W class-D amplifier, with a fourth-order low-pass filter continuously variable from 40 to 120Hz. The phase can be set at 0 or 180 degrees, and the equalization switch can be set to provide 0, 6, or 12dB of boost around the 40Hz region. On the rear panel are line-level stereo inputs on RCA connectors, as well as speaker-level inputs, a power switch, an inlet for the removable power cord, and a switch for selecting the range of input voltage: 110-120V or 220-240V. Although the R400b’s sealed enclosure measures only 14.4”H x 13”W x 13.8”D, it weighs 47.4 pounds and has a high level of fit and finish. In fact, it’s one of the most attractive and compact subwoofers I’ve seen, and more décor-friendly than most. It matched the other R-series speakers in my system, their high-quality black finish and silver trim making an impressive- and attractive-looking combination. I installed the R400b in my home-theater system: KEF R900 main and R600c center speakers, and a pair of Definitive Technology BP-8080STs used as surrounds. After experimenting with placement of the R400b, I settled on a position similar to the one I use with most subwoofers in my room. I calibrated the system using the Anthem Room Correction (ARC) system built into my Anthem Statement D2 surround-sound processor. Power amplifiers were a pair of Anthem Statement M1 monoblocks and an NAD Masters Series M27 multichannel amp; digital sources were an Oppo BDP-105 universal Blu-ray player, an Asus VivoBook X200MA laptop running Windows 8.1 and foobar2000, and a Bel Canto Design mLink USB converter. I also used the subwoofer outputs of a NuPrime IDA-8 integrated amplifier, to hear how the R400b would mate in 2.1-channel arrays with my pairs of Definitive Technology StudioMonitor 45 bookshelf speakers and the R900s. Not surprisingly, the integration of the outputs of the KEF R-series speakers and sub was excellent. Nathan Morris’s baritone in the a cappella cover of the Beatles’ “Yesterday” on Boyz II Men’s II (DTS FLAC, Motown/DTS) is especially difficult to reproduce -- it’s in the frequency range where subwoofers typically hand off to a system’s other speakers. If that handoff isn’t smooth, Morris’s voice will sound congested and indistinct, more like a backing vocal. With the R400b, it blended nearly perfectly with the other channels, imaging solidly in the center of the soundstage and sounding as prominent and articulate as the tenors in each of the other channels. The less subtle but fabulously pulsing beat of “Bust a Move (The Y2K Mix),” from Young MC’s Ain’t Goin’ Out Like That (16-bit/44.1kHz FLAC, Young Man Moving), was tight, but had plenty of weight to give it a satisfying quality that appealed to this bass lover. High-resolution film soundtracks on Blu-ray sounded refined and coherent with the R400b. The complex blend of music, dialog, and sound effects in the opening scene of Sucker Punch was exceptionally clean, with rolling thunder from every direction in the background that still sounded powerful and undistorted. The explosions and gunfire in the many battle scenes of Edge of Tomorrow were clean and authoritative, and even the ultralow bass tones in the opening scene were reproduced loudly and clearly. In fact, I was surprised by how much clean bass emerged from the R400b’s small enclosure with so little mechanical noise or distortion. In one of my favorite scenes, Christophe Beck’s orchestral score (which here consists of massed strings reportedly sampled and then distorted) produced a particularly foreboding sensation as Tom Cruise’s character goes into battle. The R400b’s controlled reproduction of the eerily low bass evoked spine-tingling feelings of isolation and hopelessness. At times, I might have wished that the R400b had just a bit more downward reach and output in the lowest octave, but its overall performance, including its lightning-fast response and tightly controlled grip, was always effective. The R400b’s finely balanced sound was excellent with soundtracks that contained music and sound effects that were both well recorded. The final fight scene of Kingsman: The Secret Service contains plenty of explosive sound effects and gunfire, which the R400b reproduced superbly. Even more striking was its smooth, tuneful integration of the bass from a mashup of the orchestral score and the 1980s pop hit “Give It Up,” by KC and the Sunshine Band. There were also a couple of deep, sustained tones that heightened the tension at crucial points in the frenzied action. In John Wick, the gratuitously violent fight scene in a bathhouse and night club is less about music and more a continuous gunfight punctuated by the score, but the R400b reproduced both with ease, clearly differentiating each gunshot from the rest, and from the music. 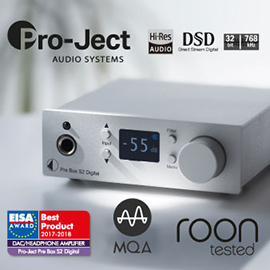 When I was confident that the R400b could perform well in my reference multichannel system, I hooked it up to a two-channel system via the preamplifier outputs of a NuPrime IDA-8 integrated amplifier-DAC that powered a pair of Definitive Technology StudioMonitor 45 bookshelf speakers. 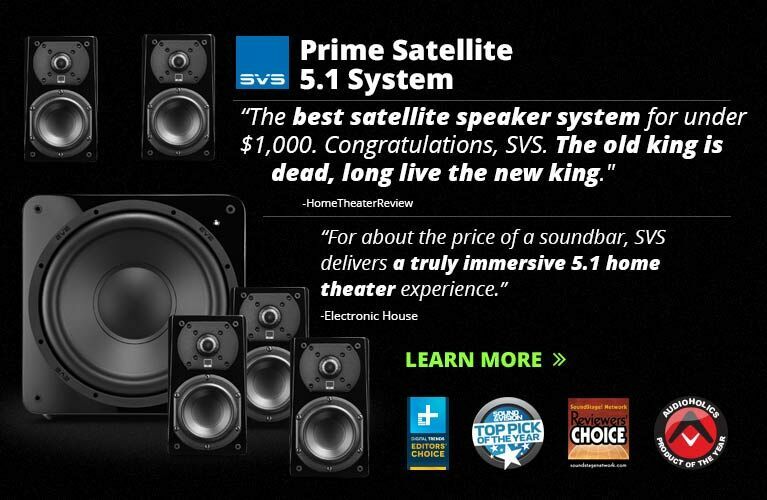 I was able to get a smooth transition from sub to satellites with only some relatively simple fine-tuning of the subwoofer’s controls and minor adjustments to placement, so that the bass was now evenly distributed between the two speakers and throughout the room. Dr. Dre’s first album in 14 years, Compton (24/44.1 FLAC, Interscope), has some relatively deep and wickedly tight bass in “Genocide” -- it wasn’t overpowering, but was finely rendered by the lithe R400b. The beat of “Darkside/Gone” wasn’t as deep but hit even harder and faster, with no hint of sluggishness. The StudioMonitor 45 produces good bass for a small bookshelf speaker, but with the R400b this system really brought a sense of scale and grandeur to classic progressive rock. 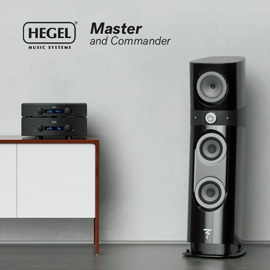 The huge soundstage of Roger Waters’s newly remastered Amused to Death (24/192 FLAC, Columbia) was enhanced by the R400b’s room-filling abilities, and the bass in “Perfect Sense, Pt. 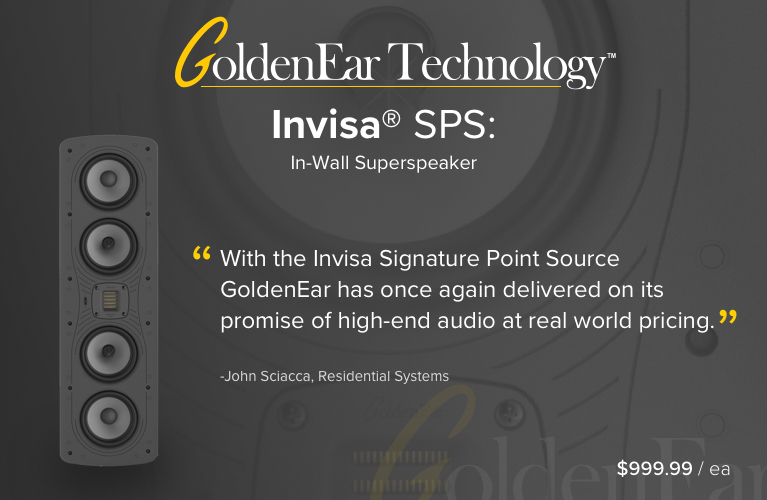 1” sounded smooth, easy, and unforced throughout its frequency range. The synthesizer-laden “Tom Sawyer,” from Rush’s Moving Pictures (24/48 FLAC, Mercury), had a big, solid sound that wasn’t quite as evident in “Limelight” or “Red Barchetta,” but every track on this album benefited from the R400b’s tightly controlled lows. The R400b didn’t much extend the response of the KEF R900 floorstanders, which are nearly full-range speakers, but it did provide the lows with more weight and definition. With “Tennis Court,” from Lorde’s Pure Heroine (24/48 FLAC, Lava/Republic), both the quick, percussive synth beat and the longer sustained bass notes lacked some weight without the R400b. Not only that, but the added underpinning provided by the KEF sub deepened the soundstage and made for a more solid and cohesive sound overall. The high-resolution version of “White Wedding (Part 1),” from Billy Idol (24/192 FLAC, Capitol/HDtracks), has better-defined bass than the standard-rez “White Wedding Parts I & II (Shotgun Mix),” from Vital Idol (16/44.1 FLAC, Capitol), which became quite apparent when the R900 was complemented by the R400b. The 16/44.1 version of the song has plenty of bass but can be a little boomy. With the hi-rez version, and especially with the addition of the R400b, I was better able to follow the rhythm of the bass guitar and drums, which improved the sense of pace. My reference system includes two JL Audio E-Sub e112 subwoofers. Each has only a single 12” driver, but each driver has 3” of peak-to-peak excursion and a 1500W amp. Considering all the technology built into it, the e112 is a relative bargain at $1900. However, compared to the smaller, more modern-looking KEF R400b, the e112 looks a little utilitarian; the matched appearances of all four KEF R-series speakers made for a handsome system that, in my room, looked as good as or better than many lifestyle systems. After calibrating my multichannel system for just one JLA e112, to make it a fairer comparison, I found that the KEF R400b matched the e112 in accuracy and output up to a certain point, after which the e112 dug a little deeper and could play a bit louder. This was hardly noticeable in normal listening; it became evident only when I played some of my reference torture tracks for bass at very high levels. The truck-chase-and-avalanche scene in Teenage Mutant Ninja Turtles includes an extended low-bass tone as an SUV flies overhead. This tone wasn’t quite as deep with the R400b, and the sub’s enclosure was more clearly the source of the sound: the R400b made some slight mechanical sounds. “The Barry Williams Show,” from Peter Gabriel’s Up (24/88.2 FLAC, Geffen), has some extremely complex and articulate bass. 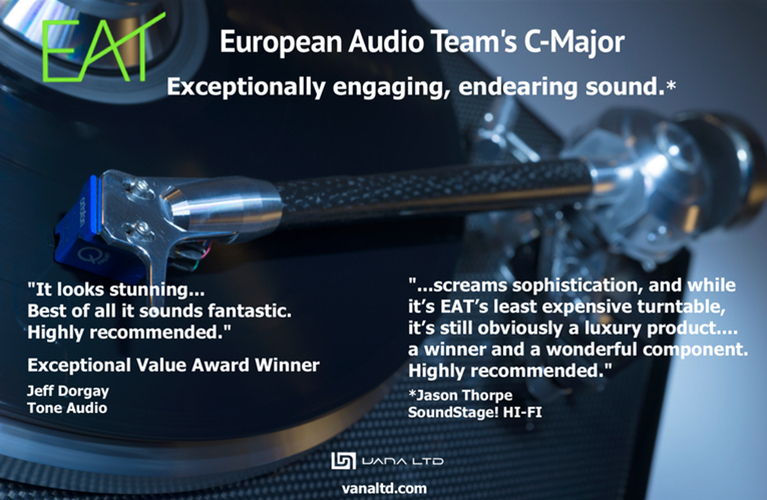 The e112 was better able to reproduce the nuances and subtleties of this track’s thick but intricate bass information; the R400b blurred some of the articulation of the very deepest notes. But while the e112 was superior in extension and output, the R400b was still an all-around excellent performer. With the R400b, movies still sounded great, as did music, which always sounded coherent and tuneful. The KEF R400b subwoofer’s agility and musicality should nicely complement the sound of high-quality speaker systems, and its modern look and small size will easily blend with the furnishings of fashionably decorated rooms -- not something that can be said of most subs. I found the R400b to be a fine performer that improved the performance of a speaker system that included its sibling models R900 and R600c, the largest floorstanding and center-channel speakers in KEF’s R series. 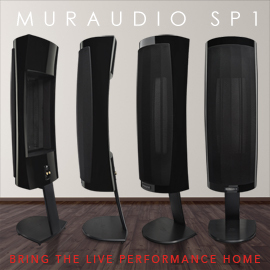 If you’re buying an R-series or other high-quality speaker system, don’t disregard the R400b in favor of a model from one of the specialty sub makers. In the R400b, KEF has produced a subwoofer that deserves your consideration. Warranty: Five years parts and labor; one year, electronics.